LABA Second Stage provides LABA alumni the opportunity to develop the ideas that came up in their residencies. Hadar Ahuvia first developed her piece, “Everything you have is yours?” as a LABA fellow. 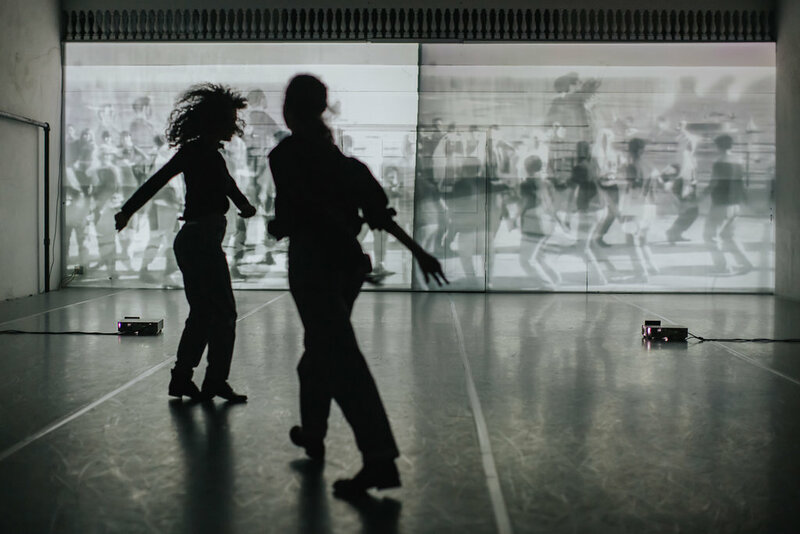 In the piece, performers mirror the dance steps of archival footage and instructional videos to reveal the subtext of Israeli folk dancing. The intention is to explore ideas of cultural appropriation while at the same time making explicit the Otherness at the kernel of Israeli identity. The Second Stage version of “Everything you have is yours?” can be seen at the 14 St Y, February 8, 9 and 10 at 8PM. “Everything you have is yours?” When I went to renew my passport at the Israeli consulate, this was the question an Israeli security official asked me. The question resonated with me as I considered my relationship to my Israeli heritage. These dances and songs are my heritage, my connection to my parents and sisters, to my grandparents, to identity as an Israeli-American. When I explore the social and political consequences of the appropriation for Palestinians and Mizrahim, I’m reconstructing and working through these relationships. I’m thinking about my identity and responsibility. Cultural appropriation in itself is not bad. It is part of a flow of ideas. But these exchanges are always happening within real social and political power dynamics. It’s wonderful when there is an equal power relationship for hybrid cultures to develop. So its a question of context — whose narratives get shared, seen, and acknowledged. I’m using Second Stage to clarify the piece. To make things less abstract in a way. The first version of the piece was a dense exploration of the material, of the dances that I use to trace the vocabulary of Israeli folk dance and appropriated gestures. It was a little opaque. I want to be more transparent with this one, to clarify how I see the dances being used by the various people who performed them and also my connection to them. I’m trying to be more transparent about where I’m coming from. 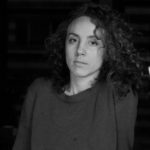 Hadar Ahuvia is dancer, choreographer and educator investigating collective history and mythology through movement, voice, and text. Her work has been presented at Dixon Place, Danspace DraftWork, MR Fall Festival, Roulette, CPR, BkSD, AUNTS, Catch, and others. Raised in Israel and the U.S., Ahuvia trained at the SF Conservatory of Dance, and earned a BA from Sarah Lawrence College. She was a 2012 DTW/NYLA Fresh Tracks Artists, a 2015 Movement Research Artists in Residence, a 2016 LABA Fellow, a 2017 CUNY Dance Initiative Artist, Artist, and recipient of ETM Choreographer + Composer Residency. She also performs for Reggie Wilson / Fist and Heel Performance Group. Are We Done With Murder?